Topic: (XP) BlueSkies 2 - Complete! Hello all once again!! 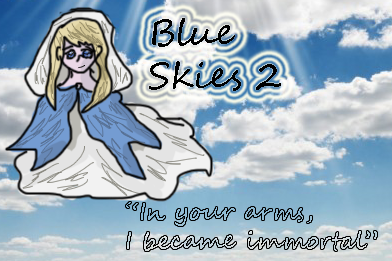 I've just completed my RM2k3 game "BlueSkies" (which you can find in my sig) and I'm now working on another BlueSkies game!! BlueSkies 2! This time, with the use of RMXP!! I must say that my very first time completing my very own RPG game with RM2k3 was such an amazing experience, in God's mercy I was able to learn alot from it!! and I'm now very excited to move to RMXP and see what I can learn with the engine as I make BlueSkies 2!! Of course, all the feedback, comments and suggestions with regards to the game is always very much appreciated!! A thousand years ago, In the world of "Vyen", a very tormenting battle called the "Wars of the Magistra" took place. And magic was the tool used that led to this bloody battle. Vyen was ennshrouded in chaos, as kings and conquerors alike abused magic. When the "Wars of the Magistra" faded slowly, it left behind a trail of kingdoms claimed and palaces incinerated to the grounds. But then, a group of religious individuals from Gemeid, rose within the ashes of war, with hopes and determination in restoring Vyen to it's former glory, The "Holy order of Gemeid" was formed. putting an end to magic once and for all, they fought under the name of Goddess Vyena, as the Holy order became a bane to all of the wizards, witches, sorcerers and warlocks. The order was also known for their prowess in hunting and slaying demons that are found lurking around the world, meddling with human affairs. The Holy order maintained control of Vyen from there on, killing magic users and demons on sight, for, if such beings were to roam freely, they dread that another bloody "Wars of the Magistra" would be born. The dogmas of The "Holy order of Gemeid" was passed unto generations, living on until now. Keeping a keen eye on Vyen for magic-users and demons which speaks of unwanted danger. 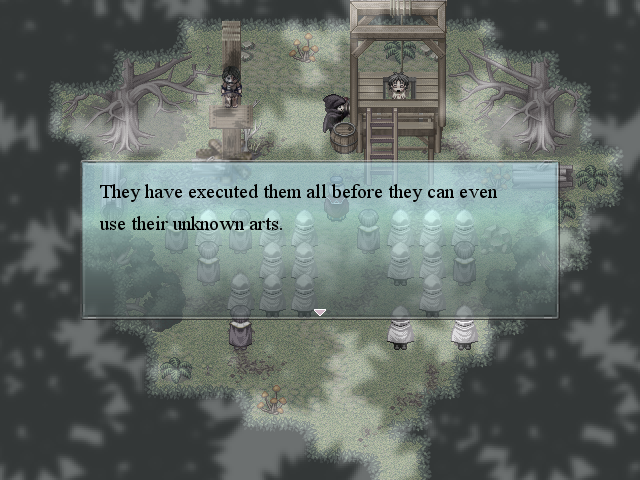 The story circulates around the life of a young mage and healer named "Lyrelle", whom at her childhood was separated from her parents during a witch-hunt. 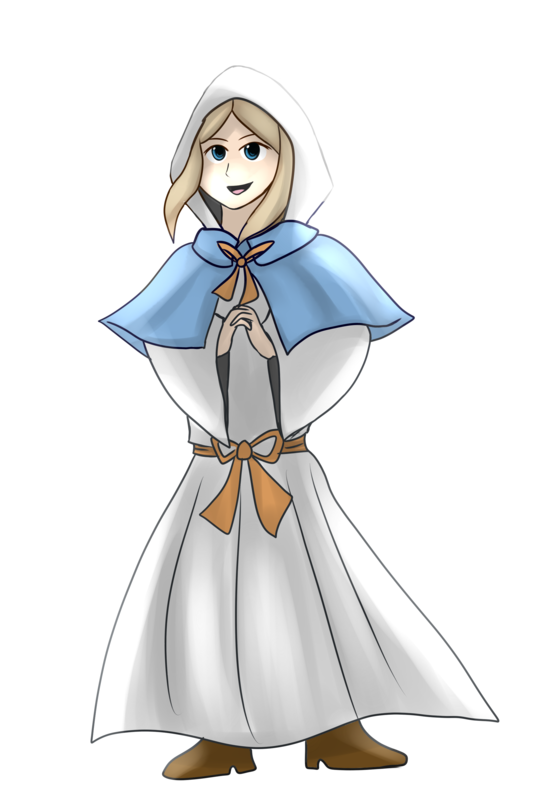 As she grew up, she found her life in Vyen quite difficult as she now struggles knowing a religious order would rid the world of her likes. Along the way, she meets friends who are willing to share this struggle with her. But her life changed directions as conspiracies against the "Holy order of Gemeid" had risen across the lands. - Lyrelle is very innocent and a child at heart. during her years after she got separated from her parents on a witch-hunt when she was 6, she was taken cared of by her mother's personal assistant, Luna. Lyrelle grew up in Senna woods without ever seeing the outside world anymore as she was told by her care-taker, Luna, that outside of the woods lies great danger.. Now, Lyrelle spends her time in the woods, strolling about and playing with her magic... she mostly specializes in healing magic. Lyrelle also has a rare vibe around her that just makes people she meet wanna be polite towards her. - The game-breaking bug at Gemeid *spoilers* attacked state has been removed. Special thanks to KyleLascar for specifically finding these glitches. 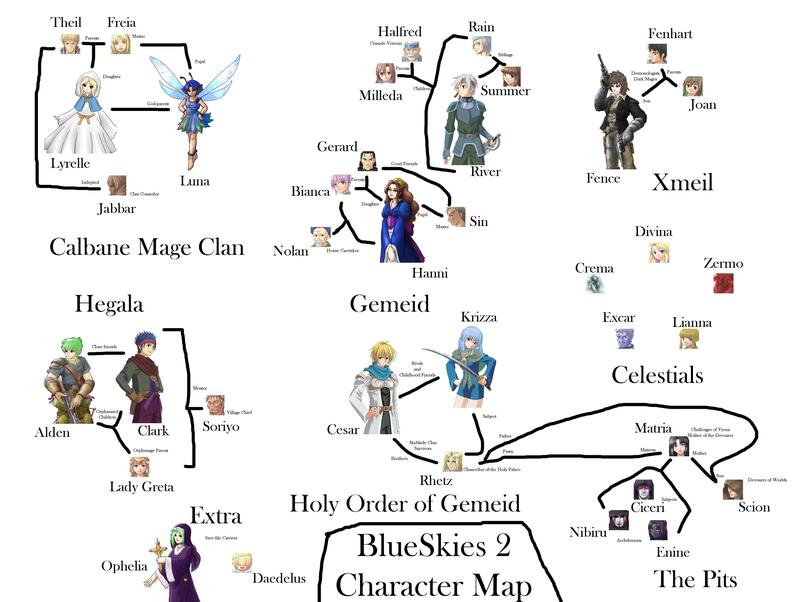 - BlueSkies 2 Character Map. - LyrelleXRiver artwork I did. - Immersive plot and a very colorful set of characters, atmosphere and dialogue. - Music that brings out your childhood nostalgia from games that you've played. 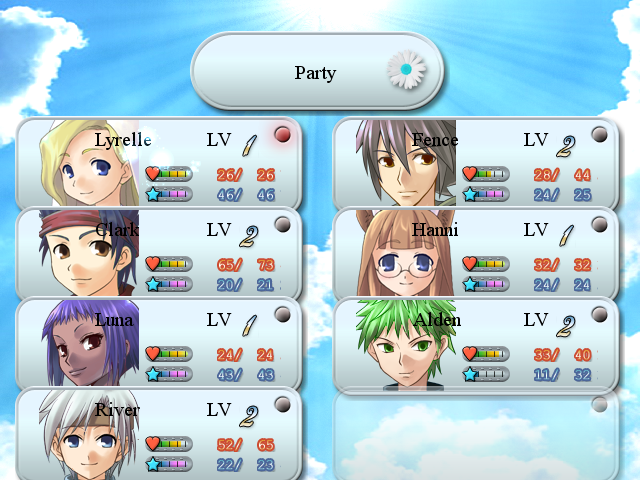 - Side-quests and hidden-quests that allows you to acquire Items and gold, even learn skills or summons! - The focus on the varying effects of certain elements and weapons on different enemies allows much control and battle tactics. 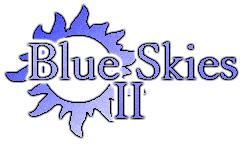 - BlueSkies 2 in itself is a whole new story, though features the same world as BlueSkies 1. First of all, I would like to thank God for making this release a possibility. Despite the real-life harshness that I've experienced, I was still able to finish this game and make it come to life for people to enjoy. Second, I want to thank all the extremely talented people in the credit sections of this game, for , without their skills, BlueSkies 2 would never be possible. Now, the moment that I've always dreamed of! The Full version release of BlueSkies 2!! So much for that, you may now download the Full version of the game and I hope that you all enjoy it as I did making it. ^_^ God bless you all and have a happy journey around Vyen. Note:if you wish to continue where you ended from the previous verions, you can use your save-file by copying it to the new version's folder! Changes in the update: (with fixes thanks to KK20) Thank God!! - Price changes: Mana potions, weapons and armors are now slightly cheaper..
- 1 new dungeon to explore! 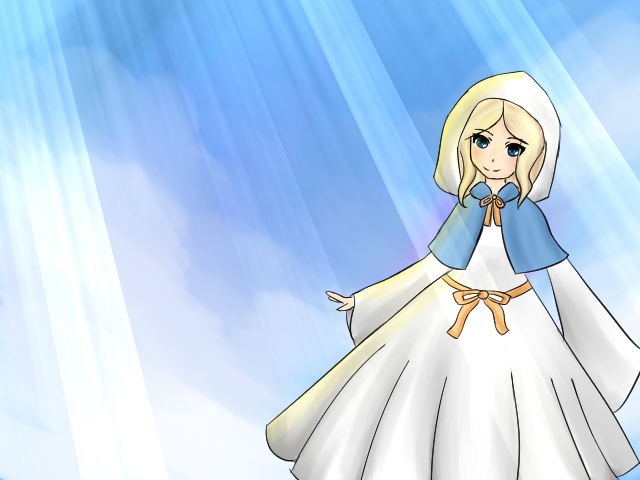 (continuation of version 1.5)..
- New playable character: Hanni, the Psychic! you will get to know her in this update..
That would be the changes for this update!! again the focus on this update is more based on the fixes!! so hopefully, there won't be anymore bugs and issues in the future! 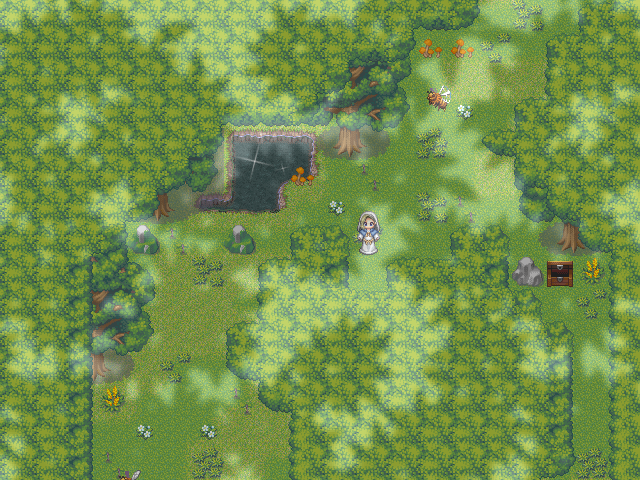 Your game looks pretty, I like how things look like so clear and tidy. I don't know, there is something special going in there :^D. 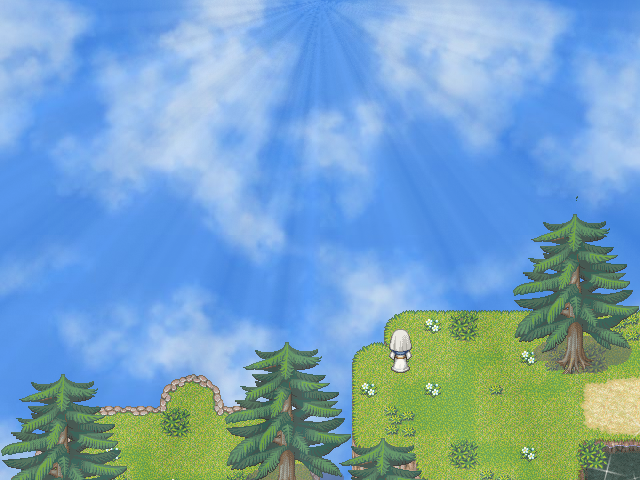 Also from what I can see in the screens, you give a lot of emphasis to panorama backgrounds with skies. Pretty adequate for a game with sky on its name xD. Hello orochii!! Thank you so much for the kind words!! I really appreciate it! xDD haha! yep!! I must've really put alot of emphasis on blue skies within the game itself!! xDD I will do my best with the game, thank you so much once again, orochii!! Of course, I have alot of people to thank for this game's current disposition! as it would never reach this far without all the people who've lend their helping hands!! you all know who you are!! UPDATE!! 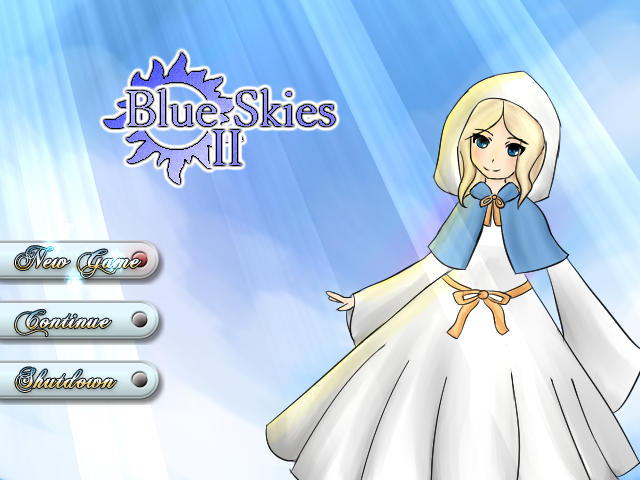 BlueSkies2 demo version 2.5 is here!! and along with this update, I would also like to announce that BlueSkies 2 will be on hiatus for awhile, since classes are going to start next week, I need to prepare myself for all the thesis works that will come!! BUT!! I am still going to continue working on this game for as long as I live!! xDD I guess on the sem-break I might continue it's progress!! 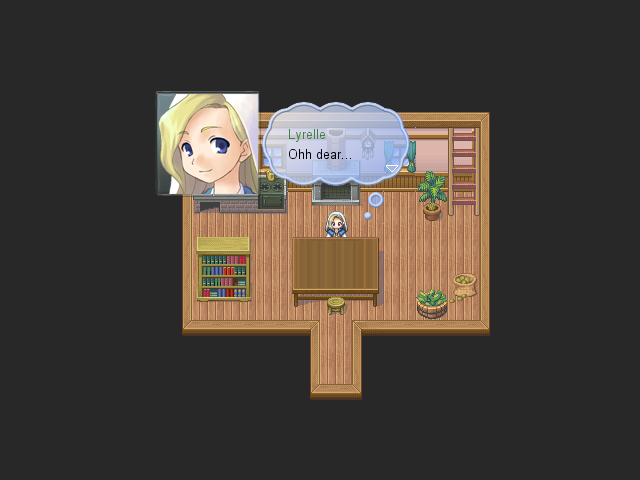 in the meantime I'll be creating a short RPG maker game for fun and I'll be posting it soon! 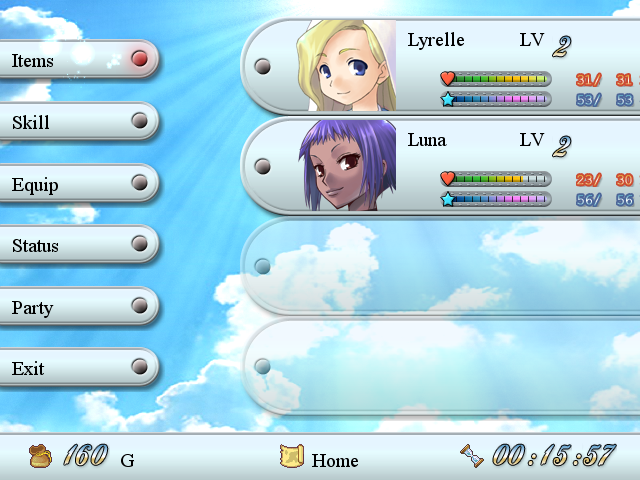 - Slight recolor of Luna's battle sprite to be more fitting on her portrait. 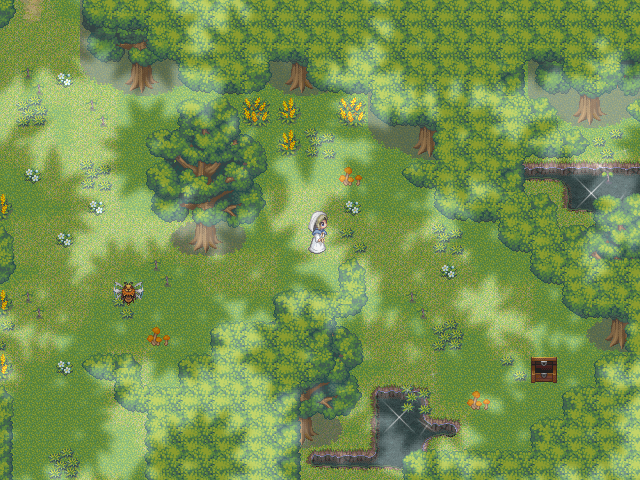 - Minor elemental spells will now have the default casting animation in order to make battles a bit quicker. 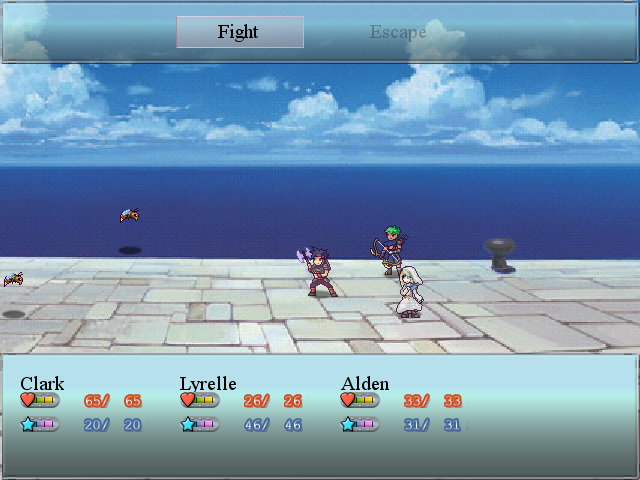 - Escaping from an enemy will now render it's sprite "avoidable" for a short period of time, giving more allowance to the escape mechanic. - You will now be given a choice to automatically backtrack or to backtrack manually once the mission is done. - Item Prices and Potion heals have been tweaked, seeking to meet balance. Hello guys and Happy new year!! It's been very long since I've posted an update. 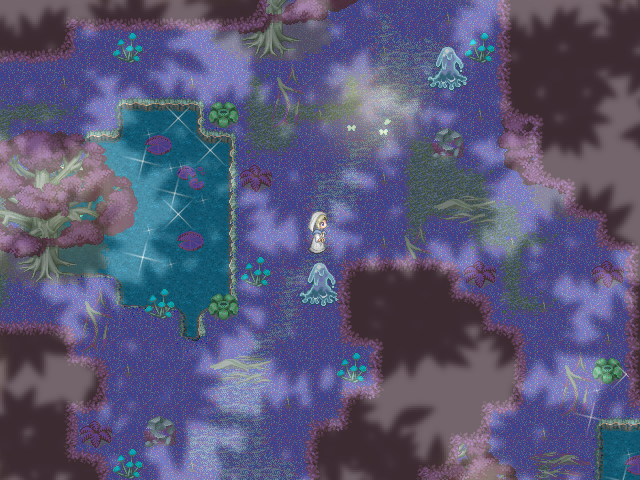 But I just wanna drop by with a few screenies to let you guys know that i'm still working on finishing up the game. I'm already at the final parts of the game, so I hope it won't be long ti'll I release the finished product. Real life's been harsh to me these past few months which is why I haven't touched the game for long after my last update. I'm quite excited to finish the game though, knowing that the list of completed games are growing and growing and I can't wait to try them all out as soon as I'm done with BlueSkies 2. 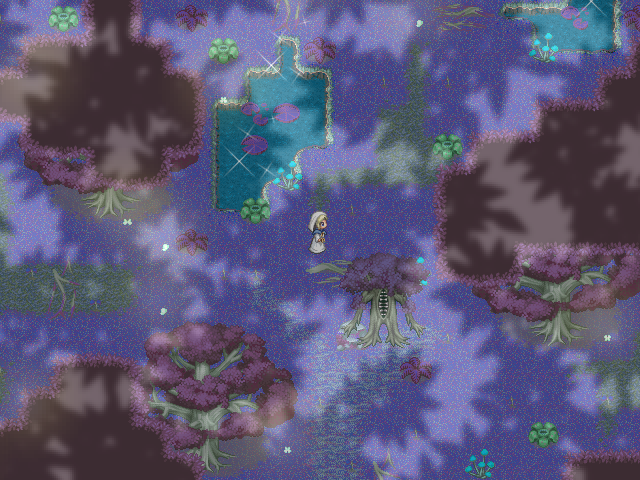 Wandering the purple beauty "Moonlit Forests"
Re: (XP) BlueSkies 2 - Complete! Hi guys! I wish to inform you all of an urgent bug. 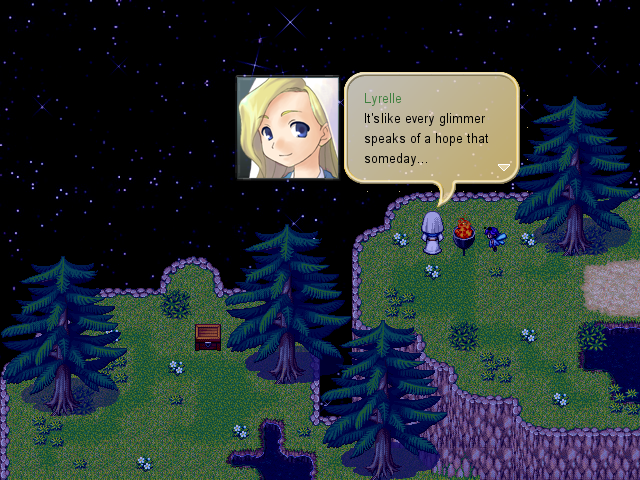 If some of you have reached Utania village and performed the "Sonova" play at the theater, you'll notice that if you had Krizza already in your party, she disappears from the party after the play. But do not fret! I've uploaded a hot-fix patch that you can use to fix this problem. 1. Download the "Game.rgssad" from the link. 2. Replace the "Game.rgssad" from the BlueSkies 2 folder with the new "Game.rggsad". 3. If you use this patch before doing the "Sonova" play side-quest, you'll find Krizza back in your party with no problems. 4. If you use this patch after doing the "Sonova" play side-quest and it seems too late that she's gone, do not panic. 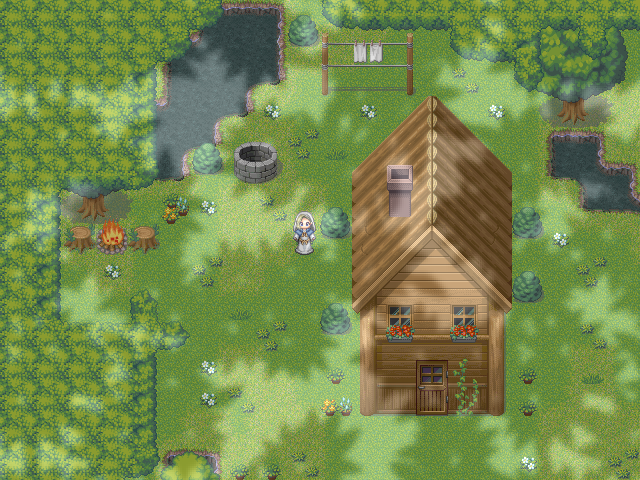 You can find Krizza outside the Utania Village pub and Mt. Zunna of Baul and get her to rejoin your party. One more thing, if you still haven't gone to Utania to do the "Sonova" play and you still don't have Krizza in your party, I suggest you make your way to Utania now and do the "Sonova" play sidequest so that you'll no longer have to download the patch and will no longer face this issue once Krizza joins you. Hi guys! Once again, I am very sorry for the inconvenience. Please download this Fix patch to further destroy all the bugs I just recently found with the full version. If you encounter bugs such as the game freezing or party members disappearing, then please do download this patch. To anyone who've downloaded the previous patch, I really plead to you to download this new fix. 1. Download the "Game.rgssad" file in the link. 2. Replace the "Game.rgssad" on the BlueSkies 2 folder with the new "Game.rgssad". 3. For the missing Krizza issue. 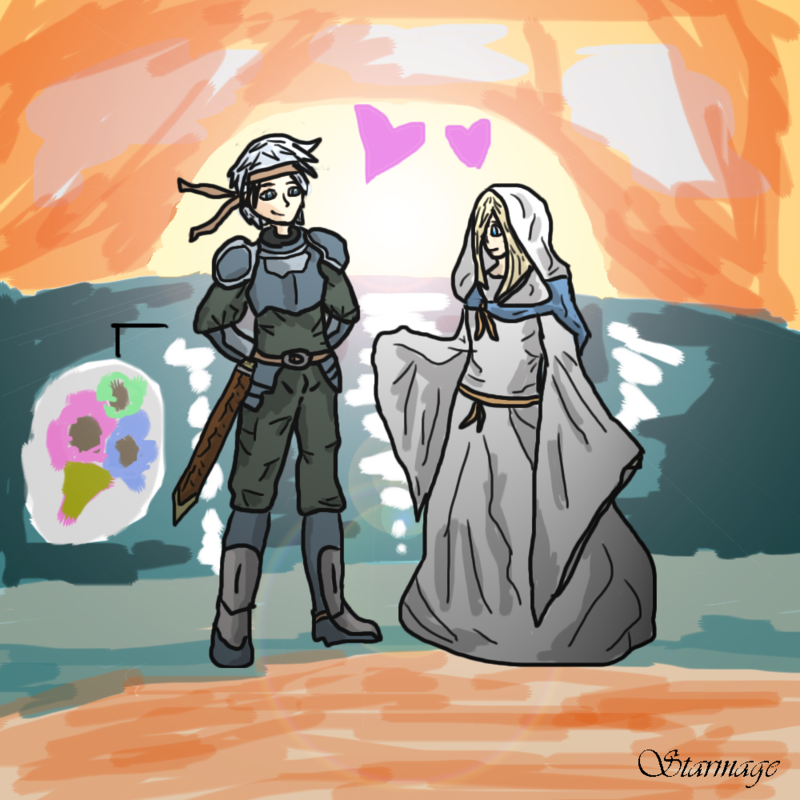 Just look for her at Utania Village and Mt. Zunna after patching to have her rejoin you. Hello guys, I just wish to discuss something with you all. The last dungeon will no longer be leave-able, which means that you can no longer buy items and stuff once you're at the final dungeon. I don't want you to be stuck at the final dungeon with no choice of leaving to grind more and buy items. Also, buying lots and lots of items such as Potions, Revives and Buffs can significantly boost your prowess at the Final dungeon. Cause it's gonna be a long challenge of pure survival once you're inside. UPDATE! Version 2.5 of full version is now up. This update is simply a bug fix for some of the bugs found by the awesome players. ^__^ Don't worry though, you may still use an old save for this version. Hello guys!! 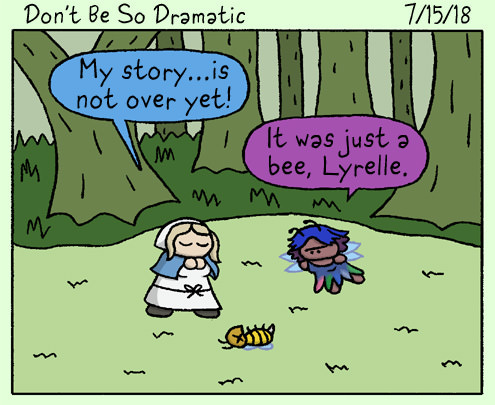 I just wish to share this very cute, funny, and silly review art of Lyrelle and Luna done by halibabica! xDD It gave me quite the good laugh, given its context. how can someone find your game and try playing it? Hi Gama! Yep, as G_G said. It is in the Downloads section of the post. He's kind enough to give you the link, too. ^_^ ENjoy!